Hello there, lovelies! I'm gonna be sharing with you a preview of my newest skin care routine. In the past months, I have tried different brands of makeup and skin products that made my face flaky on the cheek area and very oily on the T-zone. I also encountered break outs. I kind of did a trial and error thingy with skin care regimen and now, I think I have found the one. I am now using a lot of products but so far, they are doing my skin a lot of help. I have 2 facial cleansers, 2 toners and 2 moisturizers. Yes, 2 of each. 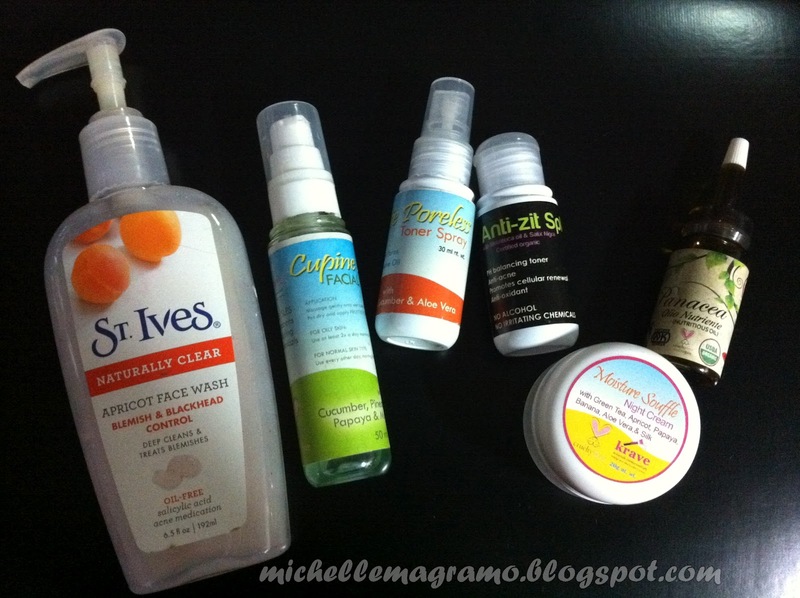 I use these items alternately because my skin needs all the benefits these items give. St. Ives Apricot Face Wash, Krave Minerale products-- Cupine Aloepa Facial Wash, Fruittie Poreless Toner Spray, Anti-zit Splash, Moisture Souffle and Panacea Olio. I also use a mask once or twice a week. 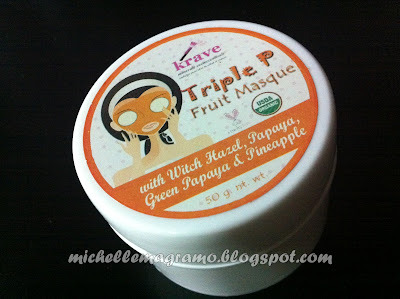 My skin needs a more intense pampering once in a while. I will make a more in depth review on each of the items. I am on my 2nd week now and my skin is doing good. Pimples dried out and flaking is less visible. 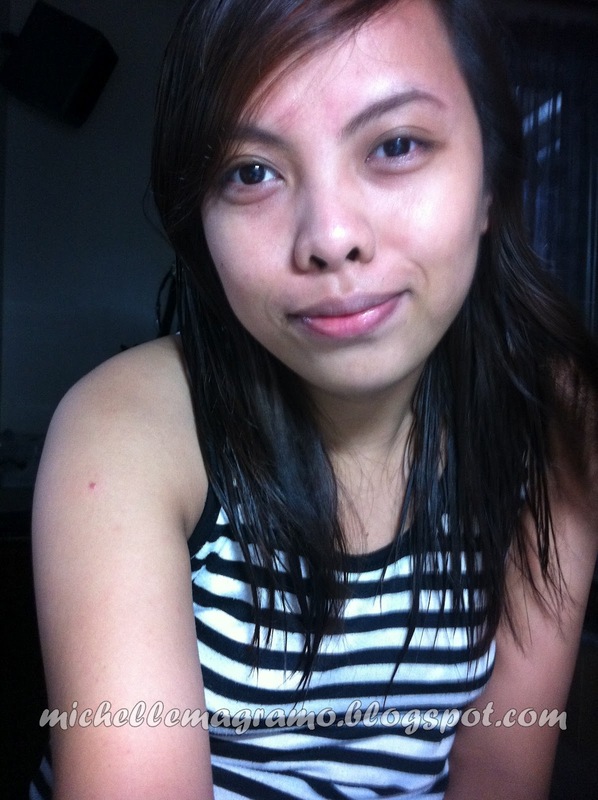 Evenness on skin tone is what I am still waiting for but so far, blemishes have already lightened. For now, I will leave you a photo of my bare face prior to using these products. Let the photo speak for itself. I am seeing improvements now. Let me continue with my regimen and update you, soon.